For many sales professionals, learning to sell to the C-suite is intimidating. Steve Bistritz has spent the last 17 years focused on selling to executives, and he says there’s a right way and a wrong way to do it. 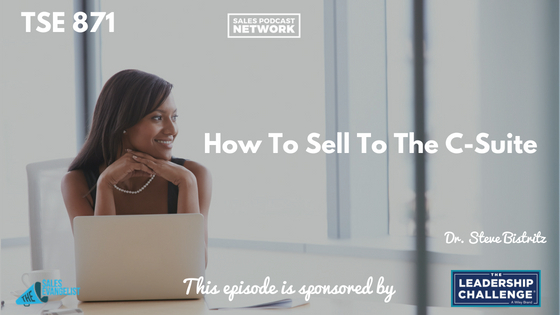 He shares his experiences today on The Sales Evangelist. Steve is co-author of the book Selling to the C-Suite: What Every Executive Wants You To Know About Successfully Selling to the Top. The book is a culmination of research done with C-level executives about how to sell in today’s environment. Most sales professionals go straight for the sale when selling to executives instead of listening first to understand the company’s needs and requirements. The C-level exec has a company-wide view of what’s going on. They’re judging your expenditure against many others looking for the best value for the money they’re spending. They’re looking for the best ROI, so you have to present a solution that delivers value. At any level, no matter what you’re selling, you have to make sure you’re delivering value to them. You have to understand their needs, requirements, and business objectives; you have to understand what motivates them. In the newest edition of the book, Steve devotes an entire chapter to finding the relevant executive for your opportunity. The relevant executive is the one who stands to gain or lose the most as a result of the application or project associated with your opportunity. You must view your opportunity from that executive’s perspective. During our research, executives said they want to meet with sales professionals who listen before proposing a solution. During interviews with executives, Steve discovered that the best way to access C-level executives is through lower-level executives or managers who have credibility with them. Additionally, gatekeepers such as administrative assistants or executive assistants can help you gain access. The gatekeepers understand what the executives are focused on, and they can help you access them if you treat the gatekeepers well. From the moment you get out of your car for a meeting, treat everyone you know with deference and respect. You don’t know who you might speak to in an elevator or cafeteria that might have access to your executive. Gain every possible advantage you can prior to your meeting. 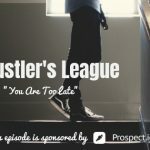 Visit LinkedIn to figure out who your prospects are connected to. Learn who their competitors are and look for companies the executive has worked for in the past. It’s possible that you have other connections that can provide insight into this executive or this company. Have an idea of what you want to say and how you want to say it. Scripts help when executives ask questions that sometimes take you off topic. Don’t rely on cold-calling. Try different approaches to connect with the execs you’re trying to reach. In some cases, the C-Suite execs may not be the right person. Analyze your situation to make sure you’re pursuing the right person. Steve’s book, Selling to the C-Suite: What Every Executive Wants You To Know About Successfully Selling to the Top is different from other books because it is developed from an executive’s perspective. It gives sellers a chance to learn what executives are thinking as they negotiate trying to sell to them. Check out Steve’s LinkedIn page to get an idea of how you can use your own profile to reflect who you are and the value you can deliver to executives. Additionally, you can connect with Steve at SellXL.com to get more information about gaining the competitive edge when selling to executives. The first time I sold to a C-level executive, I was completely subservient. I was nervous and practically begging for the sale. I wish I’d had the book Stop Selling & Start Leading: How to Make Extraordinary Sales Happen from our sponsors at Wiley. It would have helped me lead instead of selling to my customers. I’m so convinced of its message that I’m offering a free excerpt of the book so you can check it out. It would have helped me be more successful in my interactions with C-Level execs. Check out the Video Jungle podcast, your source for marketing and selling your brand using video. Plan, create and share your way to better content and strategy. Video Jungle helps you determine what’s going on in the world of video so you can apply it to your own process. If you enjoyed this episode, go ahead and leave us a review wherever you consume this content and share it with someone else who might benefit from our message. Subscribe to the podcast so you won’t miss a single episode.